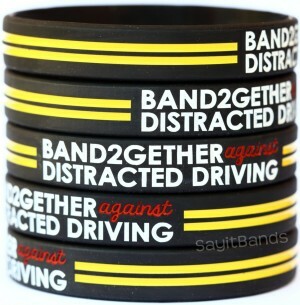 These anti-distracted driving wristbands are bold and clear. 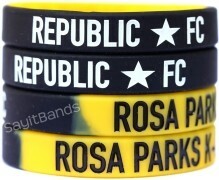 The bracelets feature a double yellow line along with their message. With hundreds of thousands of accidents each year attributed to distracted drivers this is an important and relavent message to deliver. Bands are 8 inches (202mm) around.